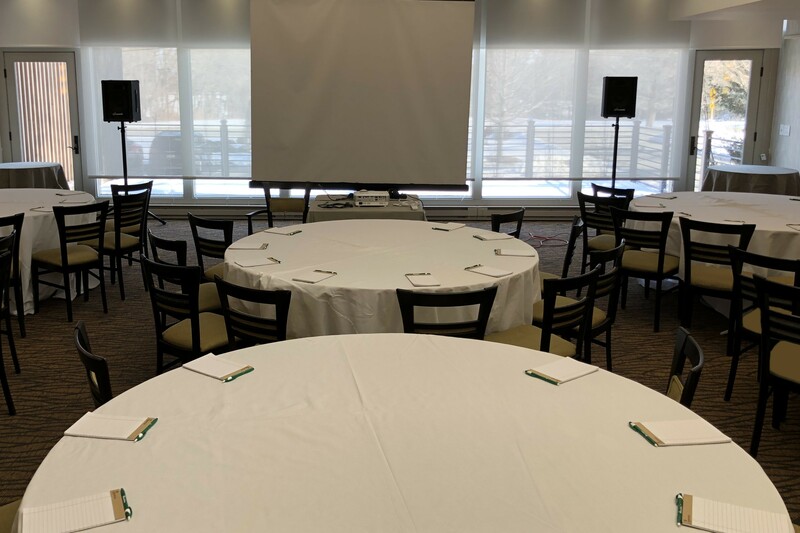 This meeting package has everything from food to lodging to equipment set-up so you can have a memorable yet productive offsite meeting or leadership team retreat. The Complete Meeting Package offers a three course dinner option that can be served buffet style, served, or can even be themed! This is a great option for parties whose guests have a variety of dietary needs or preferences. When planning a corporate event, choosing a package like this one, which keeps things simple and inclusive, is definitely the best course of action. It's affordable, covers all of your bases and ensures everyone can sleep and eat well so they're focused and ready for a busy day of networking, meetings, planning, or interviewing- whatever the case may be for your group. The professional level of service here at the Interlaken ensures all guests' contentment and comfort from the start to the end of their stay. Starting at $279 per person plus tax (single occupancy) OR $209 per person plus tax (two people per overnight guest room). Starting at $309 per person plus tax (single occupancy) OR $239 per person plus tax (two people per overnight guest room).